Are you looking for more than just a barn buddy? Or, like the song says, are you looking for love in all the wrong places? If you’re a horse lover who wants to be in love there’s now an expanded online site where like-minded singles can possibly find a love connection. The key word, of course, is “possibly.” But why not take a chance? 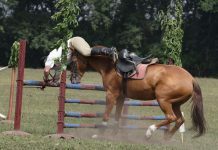 EquestrianSingles.com has recently acquired the popular web site, EquestrianMatch.com. The acquisition makes EquestrianSingles.com the front runner in equestrian matchmaking. 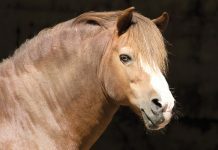 Fortunately, EquestrianSingles.com has welcomed EquestrianMatch.com members to their community with a free premium membership.